I finished the second piece I promised my mother! I feel like I should pop a bottle of champagne to celebrate, except for the fact that I still have a hefty to-do list ahead of me and Xmas will be approaching faster than anticipated… and the minor fact that I don’t have a bottle on hand. This time around, I decided to do a piece that would be truer to my “Across the Divide” collection and closer to my style than the previous piece I did for my mom. With that said, since it is more my speed, I have my toes and fingers crossed that she likes this one too. 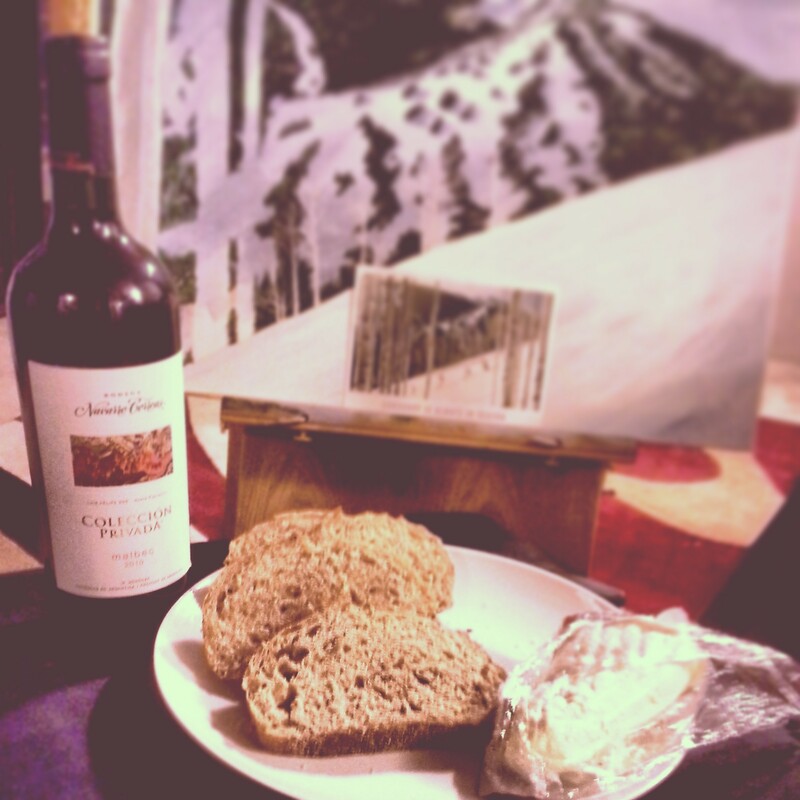 Some times I like to pretend that I’m channeling the great artists of the past when I have wine, cheese, and bread for dinner. This tends to be the best fuel for getting work done. I figure if it worked for Matisse and Van Gogh then maybe it could work for me, right? 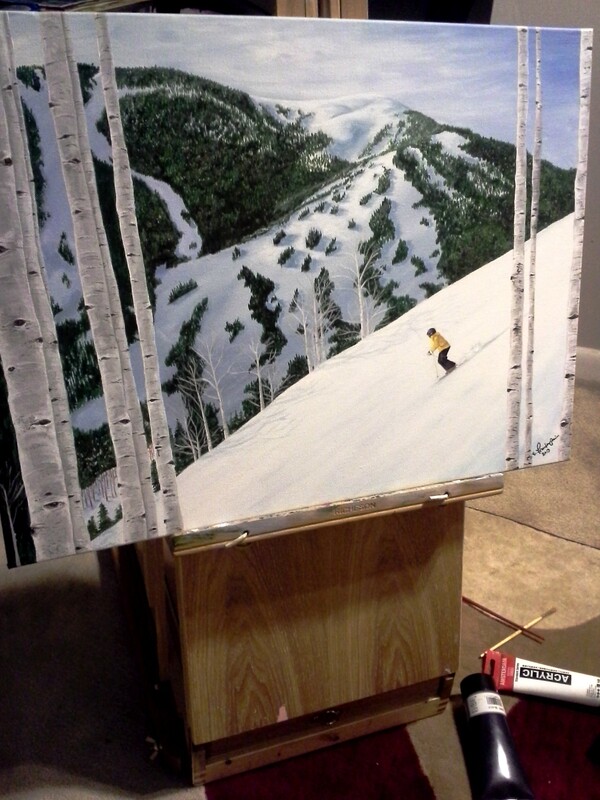 A close up of the little skier dude. 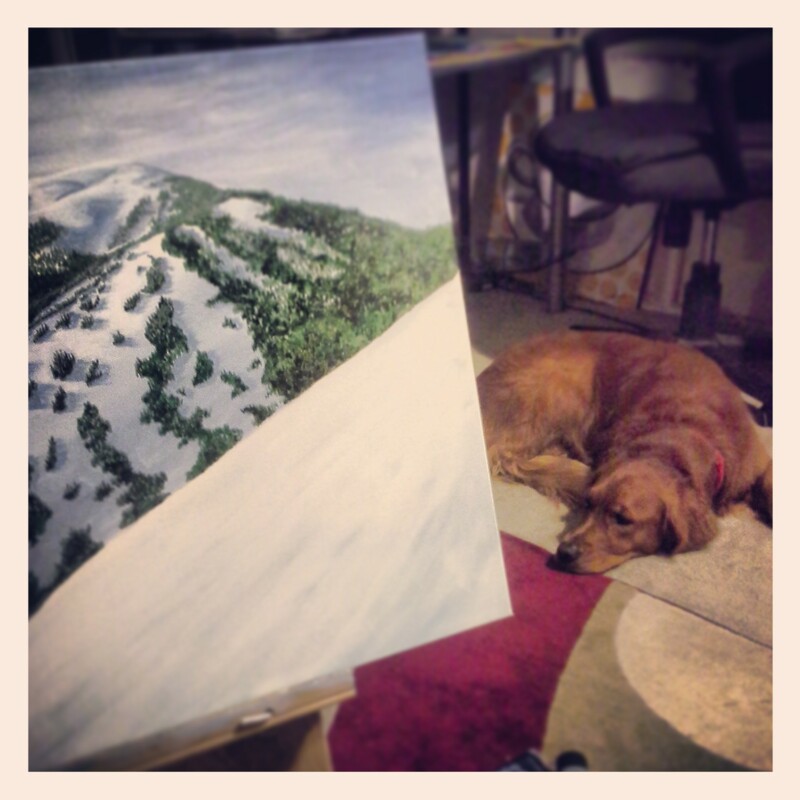 Personally, I prefer snowboarding, but I couldn’t find any good snowboarder images to paint. 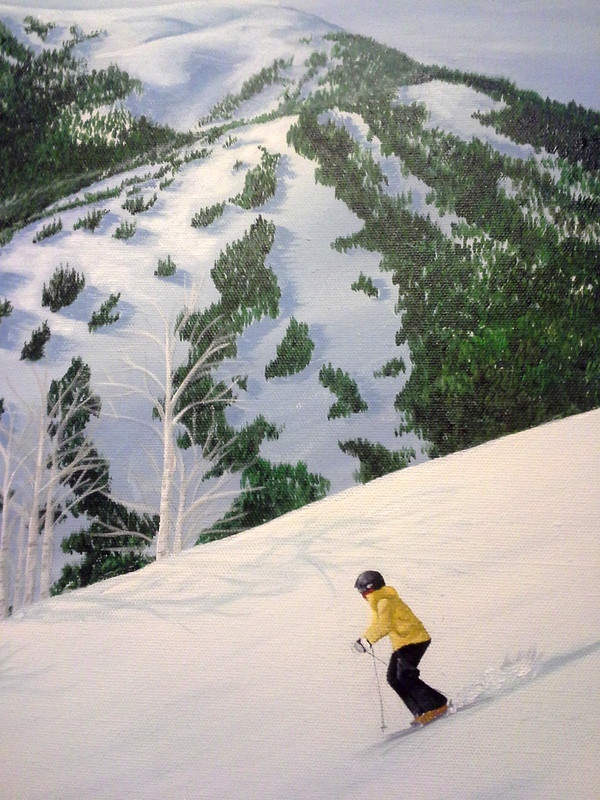 I wanted someone in a fairly normal/easy position to paint proportionately as well as cool shadows to work with. So I ended up with this guy.